An Irani Cafe Must do! 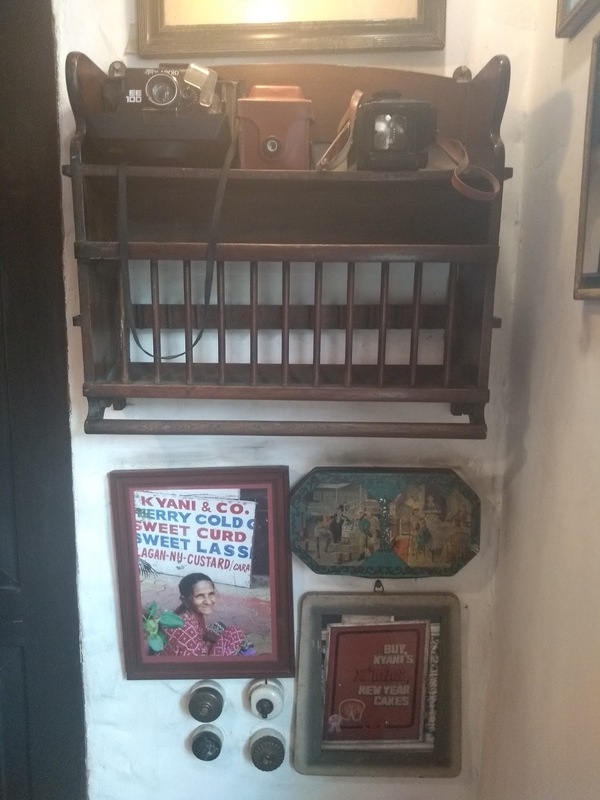 The moment you enter this concept restaurant and bar, a.k.a a Bombay Irani Cafe, you are in a quaint time capsule. 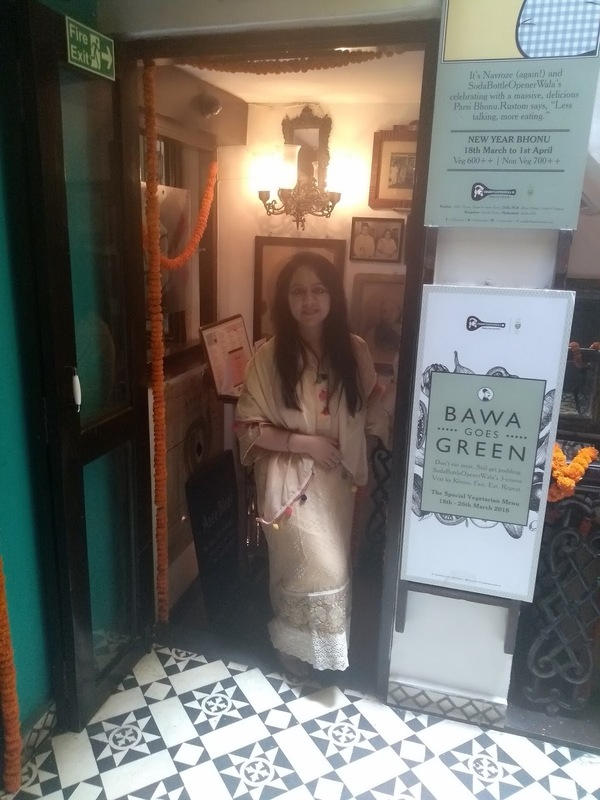 Full marks to architect Clement and Sabina for bringing the Bawa way of life, to life. 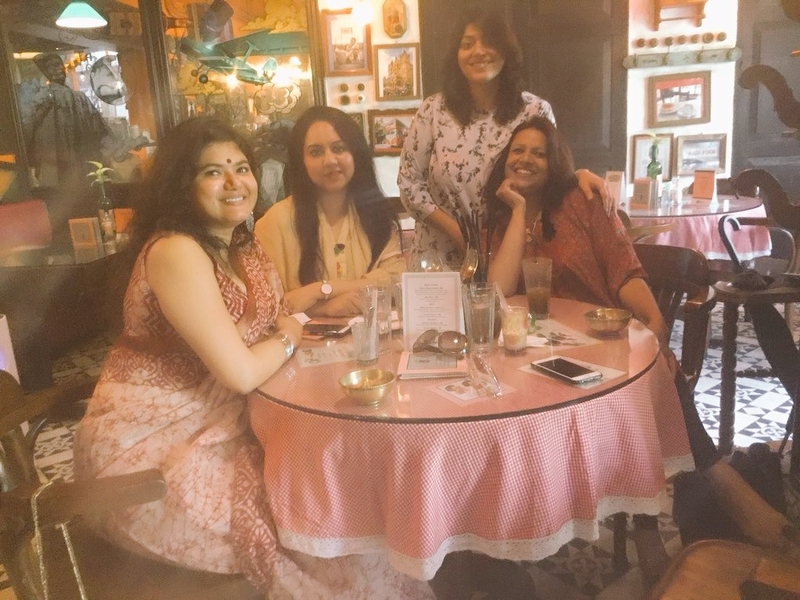 The familiarity associated with Irani cafes intact! 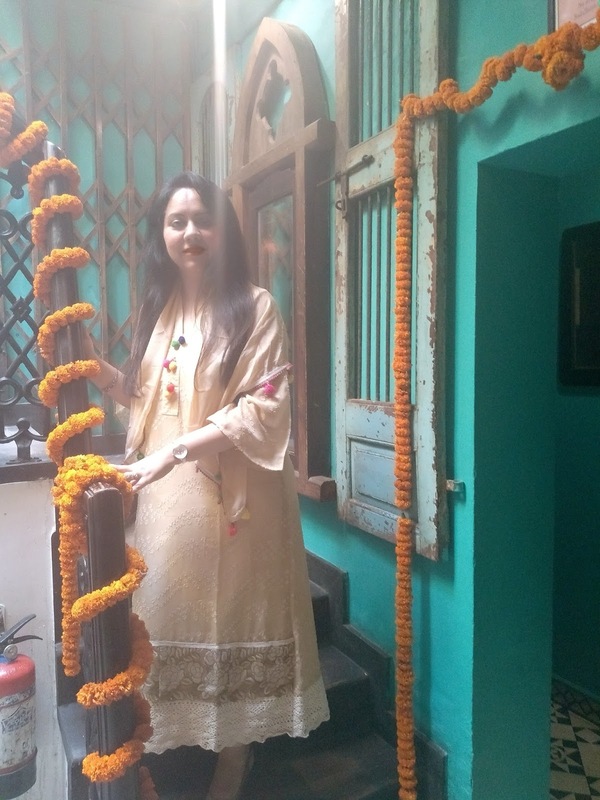 I had the pleasure of being invited by the effervescent chef and owner of Music and Mountains and a food blogger in hibernation, Parul Pratap, to sample the Navroz (Parsi spelling) delicacies. The Spring Equinox as celebrated in many other cultures as the turning of a new leaf- a new life and yes, a year too. So there we were in good company of fellow bloggers, waiting to dig in! The Irani cafe, were once ubiquitously found in cities and town to which Persians escaping prosecution had migrated to down the centuries, Parts of Gujarat, Maharsthra and in even some pockets, down south. Abounding in anecdotes that echoed within the kitschy walls of the cafes that are now adding to legacy of a life that the immigrant’s made in a foreign land. Food, friends and fun- what else? No surprises then the Irani cuisine with its love for the meats, fresh herbs, eggs, dried fruits, borrowed as also lent flavours from and to the Indian spicy culinary context as also from the Raj traditions of cookery. The sorcery of this symbiotic flavourings and seasoning results in an eclectic menu. 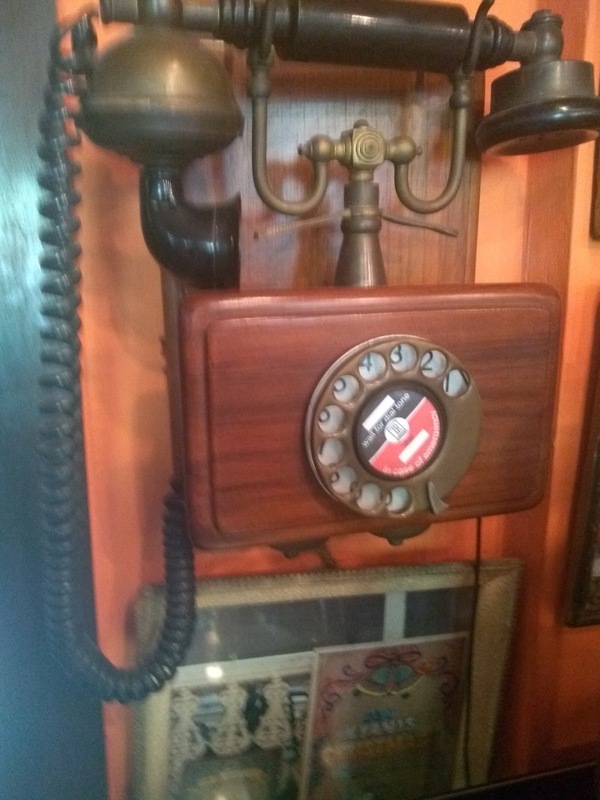 Here I was, transported back to that era amidst memorabilia, bric-a-brac- old photo frames, sign boards, telephone sets, signages, quirky mirror and yes a staircase to reach to all this. We kickstarted the celebration with a raspberry cola- and yes both the soda and berry concoctions form a quintessential part of the cuisine- tangy, sweetly delicious drink to quench my thirst! Yaass! Malido and Falooda -Match made in heaven! The thali I sampled was a microcosm of all flavours Parsi and of the culinary heritage trail. replete with the khatto meetho and teekho aspects of the Parsi food. We polished off the thali with the Gajar nu acchar, Russian salad (See the colonial influence there? 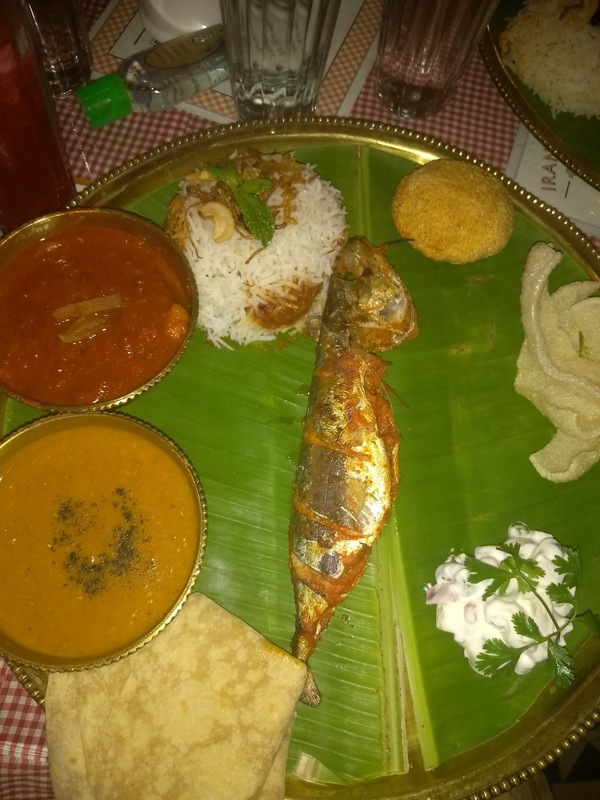 ), chicken pattice, fried mackerel, Masaala nu daal, mutton masala pulav, Jardaloo na Marghi,rotli Malido and Falooda. 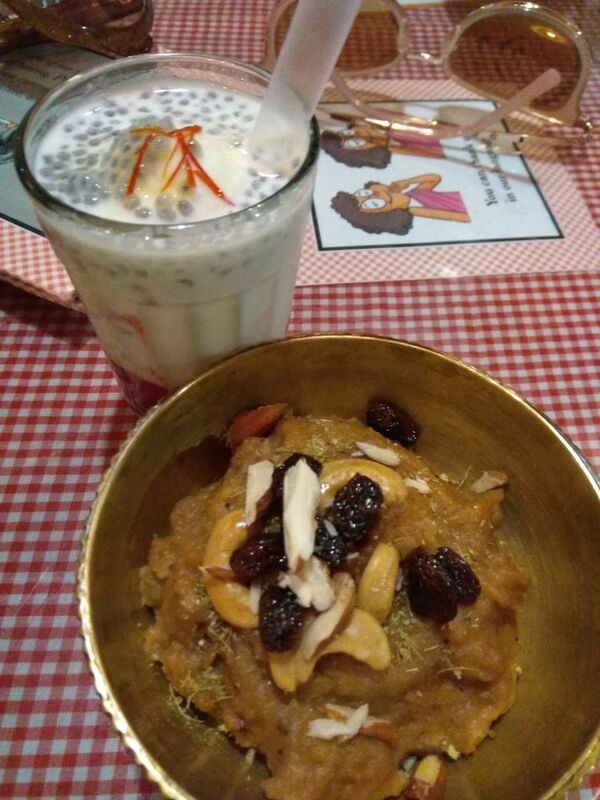 The authentic flavours of the eclectic meal ranged from the spiced marinade of the mackerel, to the spicy Masaala nu daal to the sweet, crunchy basil seeds atop a richly sweet falooda. The easy bite continental chicken pattice sat comfortably with the berry mutton pilau! With a hearty banter that circled the cultural cusining (my coinage)- there was a lot more than food to relish and cherish.